Kelt XO is a Cognac Grande Champagne. The "Tour de Monde" Extra Old Cognac comes in an elegant bottle. We quote the producer: "Only X.O. ever to be awarded a Platinum Medal in the World Spirits Championship." 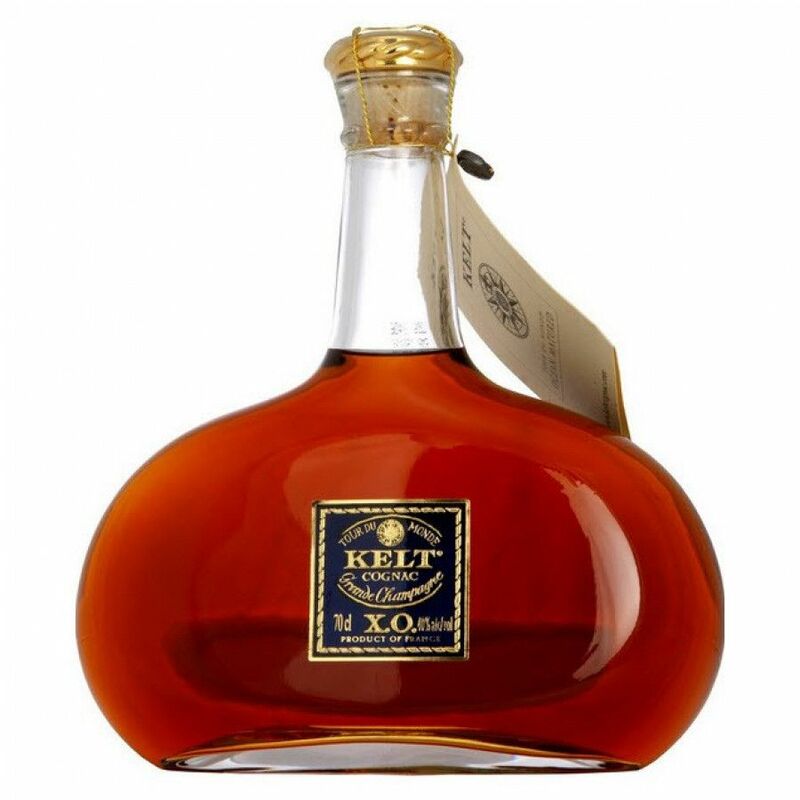 Produced purely from grapes grown in the Grande Champagne, Cognac Kelt is all about the traditions of old. To the extent where every oak barrel of Kelt eaux-de-vie is sent on a three month sea journey around the world – known as the Tour du Monde “ocean maturation”. Kelt Cognac produce a range of cognacs from a VSOP upwards to a speciality cognac, all bearing names that mirror their maritime voyage. A delicate nose with dominant floral aromas and mature wood character. It evolves to spice, pepper and sandalwood as well as the walnuts and irises typical of fine "rançio"
Clear, great nose - some dry and dark fruits. Long finish. The colour of Frapins XO is golden, on the nose: Some flowers, in the mouth: Some dark almonds, dry flower, orange - a long presence. The aftertaste is dominated by Rancio, staying complex and fine at the same time. Kelt XO Cognac “Tour du Monde” 1990. Drink it or not? Very interesting description, Daz. Thanks for that. Do you know when your Kelt bottle was produced?